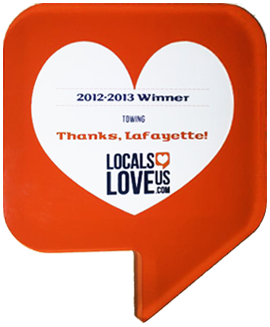 Want help with road service in Baton Rouge? It happens to almost everyone. The car was working earlier. But now, no matter what you try, some mysterious ailment has it beaten. Is it low oil or a dead battery? Sometimes, it’s hard to narrow down exactly what’s wrong. But no matter what it is, you can call us up at Guy’s Towing Service to take a look. 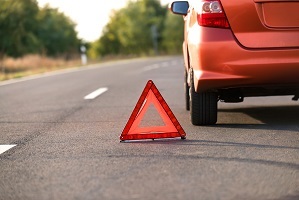 On top of our towing services, we also offer road service in Baton Rouge so that when your car has a sudden enigmatic breakdown, we might be able to help figure it out for you. And even if we can’t, we’ll still make sure you get home safely! What if I have an unusual vehicle? Our qualified team of tow truck operators has seen it all. With over 40 years of experience, we’ve been helping drivers and their vehicles get home for decades. And we’ll do the same for you too! What roadside services do you offer? Have a little much to drink for the holidays? If you can’t find a ride home, don’t risk driving drunk! We’ll come by and get you by the holidays if needed for FREE to make sure both you and your car home safely. 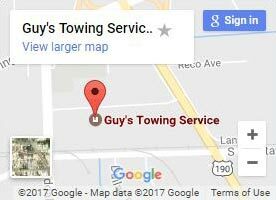 At Guy’s Towing Services, we’re more than a tow truck company. Our goal is to make sure you make it where you need to be. And if that means we’re up at 3 AM to get you back to your family or clowder of cats, that’s fine with us. We’ll always make sure you get where you need to be, because your safety is our top priority. What if my car is totaled? If your car is totaled, no amount of roadside assistance will be enough! Fortunately, we always send the right truck for the job just in case. So whether it’s a Smart car or a semi truck you can’t get going, we’ll make sure to be prepared in case it needs to be towed. When you call us for help, we treat you with courtesy and respect. 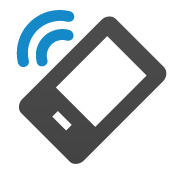 We quickly gather the information we need from you, then send one of our many tow trucks out to your location. As Louisiana’s largest tow truck service, we have plenty of drivers prepared for your call. 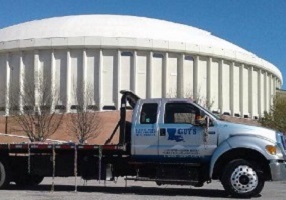 So when you need road service in Baton Rouge or towing for any kind of vehicle, or any kind of roadside emergency, give us a call or contact us today! If I need help, what do I do? Call us right away. It doesn’t matter if it’s noon, midnight, or anytime in between! If possible, give us the address so we can send the closest truck. The driver will head over to your location to pick up you and your vehicle.